Dr. Sun earned his doctoral degree in Dental Medicine from Harvard School of Dental Medicine in Boston, MA. 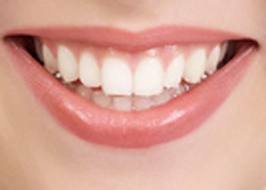 Kitt Creek Dentistry offers the best services and procedures in the general dentistry. With many years of experience, Dr. Sun has established himself as one of the most highly respected dentists in the triangle area. Good oral hygiene and regular dental examinations are essential in the prevention and early detection of problems, such as gum disease, tooth decay, and tooth loss. A comprehensive program of preventive dental care is the most important service we provide. Prevention begins with regular cleanings to control plaque and calculus, which cause tooth decay and periodontal disease. We utilize the latest technologies available, including Digital X-ray, modern techniques/equipment and advanced sterilization procedures. We are dedicated to provide the highest level of safety and infection control for each patient’s personal protection. We have networked with highly skilled specialists in order to provide the best clinical care for patients. You deserve a healthy pleasant smile!